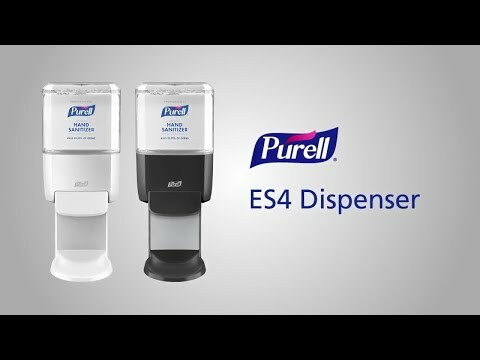 Push-Style dispenser for Purell[R] hand sanitizer. Reliable and cost-effective. Elegant design complements décor. At-A-Glance™ refills provide the easiest way to see when refills need to be changed. Sanitary sealed™ PET refill bottle with removable collar for easy recycling. Fully ADA compliant. Guaranteed reliability. Refill Sold Separately.